If you don’t have controlled water temperature, your kids can play with the hot tap whenever they feel like it! 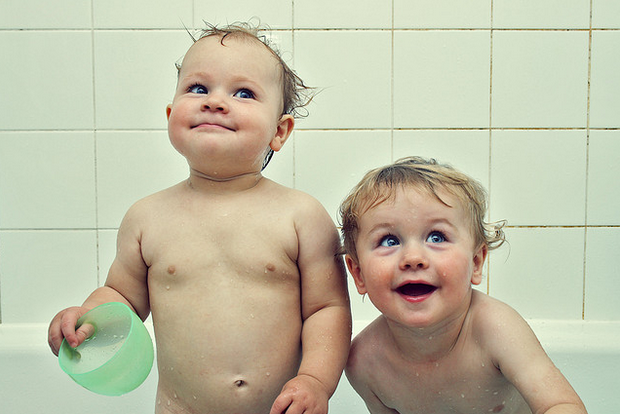 Hot water doesn’t need to be all that hot for it to damage or burn your child’s skin. Make sure you water temperature is controlled and they’ll be much better protected when they’re in the bath, or when you send them to wash their hands. There are things you can do to your boiler to accomplish this. A step stool will help your child to reach the sink and the toilet all by themselves. Depending on how old they are, you shouldn’t send them alone anyway. However, once they reach a certain age, they’ll want to become more independent by doing things like this. A child friendly toilet seat will make it easier for them to go to the toilet, not to mention more appealing! Adult toilet seats can be far too big for kids and leave them almost falling into the toilet bowl when sat down. A smaller toilet seat will make them much more comfortable and stop them from feeling scared at the thought of using the toilet. You can then stop stressing out at the thought of them being too frightened to go! Fun accessories in the bathroom will make it look more appealing to your kids. It might even help them to enjoy bath time more! You can include colours and patterns that they like, and make your bathroom a fun place to be. It can still look like one of those fancy bathrooms online, just more colourful! There are lots of different bath toys that you can include too! If you have anything dangerous in the bathroom, make sure you lock it away. You may have scissors, nail clippers, and medicines in your cabinets. Put a child lock on there so that your kids can’t get anywhere near them when they’re in the bathroom. Sometimes they get curious, and this is when bad things can happen. Take safety precautions like this and it won’t happen to you! There’s nothing worse for kids than a slippery bathroom floor. They are clumsy at the best of times, so make sure you have a non slip, water resistant bath mat down for when they have just got out of the bath. Don’t buy any mat, because these aren’t water resistant and will start to stink the place out. A bath mat is your best bet for stopping your kids from slipping over in the bath or shower. Don’t take any chances and make sure they can stay upright! Follow these tips and your kids will be just fine!